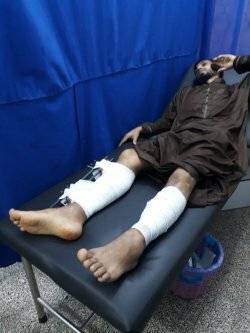 In four days, a total of 102 patients have been admitted after being shot in the lower extremities in the three medical facilities where MSF was already providing specialised care for trauma and burns patients. More than 35 per cent have fractures that will require long-term treatment, potentially several surgical interventions and a long rehabilitation period. The rest of the patients have soft tissue injuries, mainly in muscles, but they may also need surgical care and several weeks of dressing care. A patient treated in Khan Yunis clinic. “We are worried that more people might need care in our clinics in the coming days, as more patients will be referred from hospitals”, added Ingres. “We also fear that more violence will occur and that more people will be wounded during the next demonstration scheduled for Friday 6 April, as well for following events planned on the run up to 15 May. MSF will respond to the current emergency to the extent of its means and according to the needs of the population in Gaza." 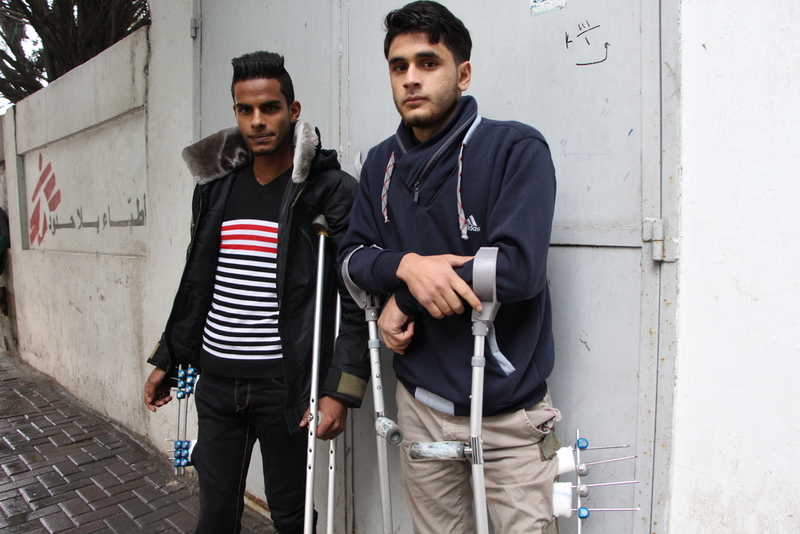 *Please note the title photograph shows Mohammed Mubarak and Faris Alawawdah who were shot at the Israeli border in spring 2017.